AND STUDY WITH HIM ON YOUR COMPUTER! YOU WON'T WANT TO MISS THIS TEACHING! 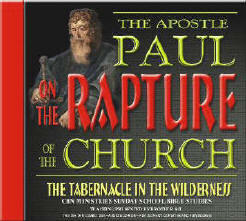 The Church, only to the Apostle Paul. God chose Paul to be the founder of Christianity. Paul received only one story from God. And because it was from God, it was the truth. Truth is rooted in simplicity, and as God Himself states, He is not the author of confusion, so God's truth is simplicity in itself. Paul could never have given a false teaching because he didnt know any. He was only given one simple truth. And it was the whole truth from beginning to end. The only element about the Church that God kept secret from Paul was the timing of the end, as God had already sealed it up in the word of prophecy revealed to Daniel. Yes, God placed a seal on Daniels word to be seen only in it's time, thereby effectively sealing up the timing for the Rapture, because the Rapture happens at the end time. Paralleling Daniel's word with present day history finds his word alive and living now, unsealed, revealing that the time of the end is close at hand. Just as God promised, time has unsealed the word of Daniel and along with it, the revelation of the timing for the end of the Christian Covenant at the Rapture. The revelation of the exact day of the Rapture is contained in Pauls teaching to the first converts, already written in Scripture, its meaning just waiting to be revealed in it's time. There is nothing new added, but it's recognized now because we have reached the time for us to know when our redemption will come to pass, exactly as God had planned. 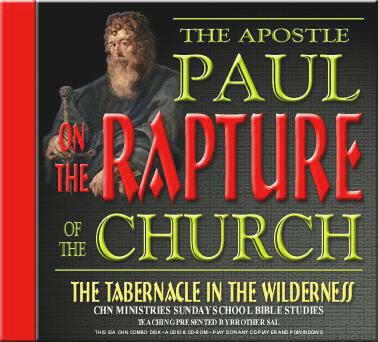 With this audio CD, I bring my classroom to you so we can take this fascinating, informative Bible Study together and learn how Scripture pinpoints the day God scheduled for the Rapture, and Paul's Scriptural proof that our redemption draweth nigh! Im sure you will want to reserve your copy right away. Click on the easy to use offering link provided on the page. This audio CD teaching is our way of saying, Thank You, for your generous support of this Ministry. We appreciate your offerings, and look forward to sending you your copy of "The Apostle Paul on the Rapture of the Church"
And when youve completed this study, youll really understand why it is that we watch so closely! Thank you everybody and God bless.